In much of my world outside this virtual space, where with all of you I’m coming to understand a different way, self-promotion is often a default way of presenting oneself. Advice like, ‘if you don’t sing your own praises, who will?’ and ‘you have to be your own advocate if you want to succeed,’ are standard in many professions. As we all become increasingly familiar with the mechanics of communicating online through various social media, there are growing numbers of folks seeking to teach us how to maximize our ‘hits’ and grow our network of friends and followers, to get the word out. Many have worthwhile advice. But I long for there to be greater value placed on humility; for acknowledgement of the shoulders we all stood on to get where we are; for some appreciation of God’s work through each of us; for less grasping to ourselves and more embrace of shared recognition. Merton, Thomas (2009-10-13). 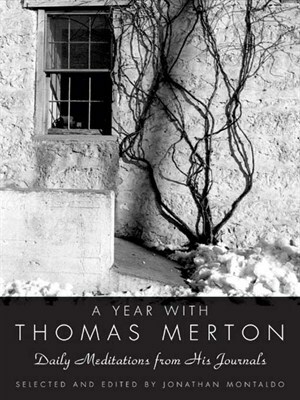 A Year with Thomas Merton (Kindle Locations 5833-5835). HarperCollins. Kindle Edition. Would that the small seeds of love and appreciation that we share here as witness to God’s transcendent power in our lives were ordinary. This entry was posted in Uncategorized and tagged humility, Thomas Merton by Mary Adrienne. Bookmark the permalink.